I was sent the Honey Treasures, Coconut Oil & Cocoa Butter, and the Coconut Water & Vanilla Milk varieties to try. The first thing noticed when using them was how great they all smelled! Of the three I tried, I really liked the Coconut Water & Vanilla Milk scent the best. I feel like the scent lasted long after my shower and after I was done blow drying and styling my hair. The Coconut Water & Vanilla Milk Hydrating Shampoo and Conditioner did a pretty good job at moisturizing my hair, though, I thought it left it feeling somewhat oily. My hair was soft and smooth after I dried and styled it. 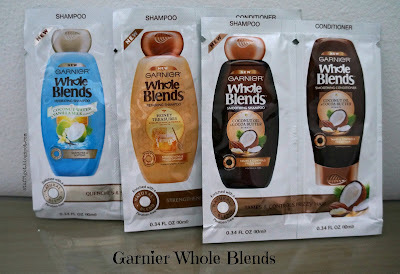 Of the three that I tried, I liked the Coconut Oil & Cocoa Butter Smoothing Shampoo and Conditioner the best. My hair is normally pretty frizzy and I use hair oils (plus my flat iron!) to help calm it down. 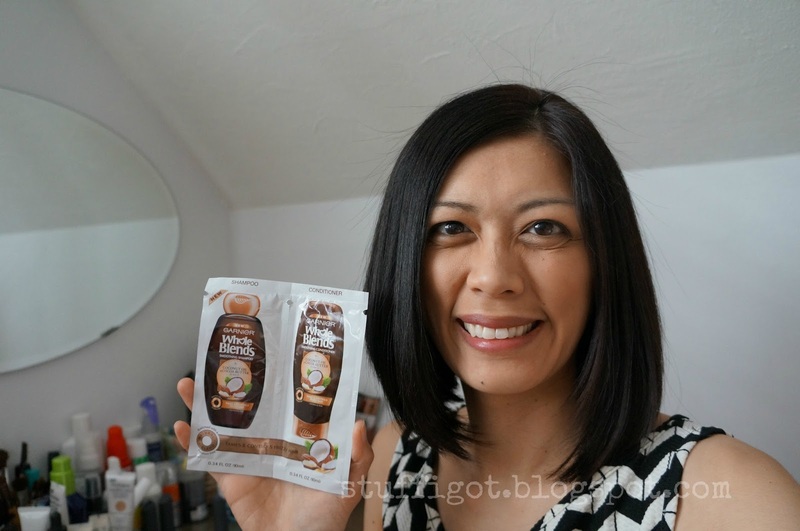 I thought the Coconut Oil & Cocoa Butter helped to make my hair smoother and shinier. I also let me daughter try it since she has really wavy and frizzy hair. She really liked it and even told me that it worked and her felt and looked smoother. 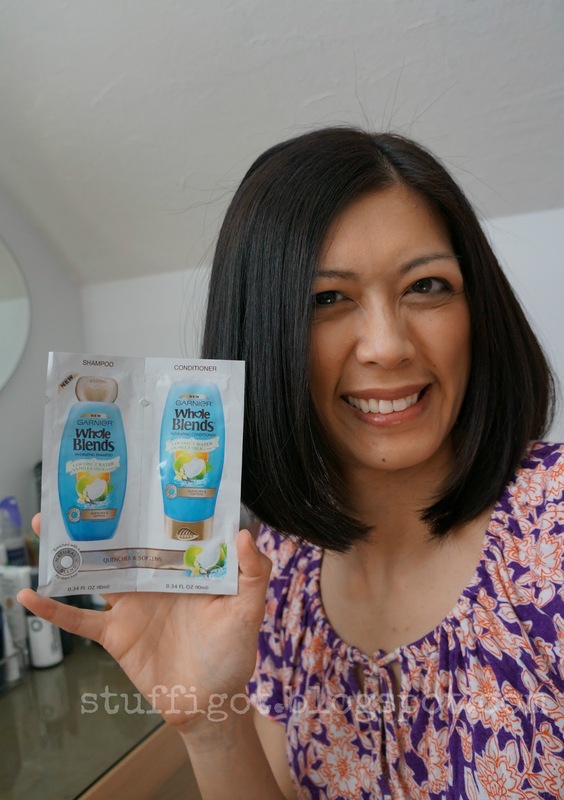 Since I pretty much blow dry and flat iron my hair every day, I thought the Honey Treasures Repairing Shampoo and Conditioner would be best for my hair. It goes through a lot of abuse and I recently cut off several inches because of how damaged the ends were. 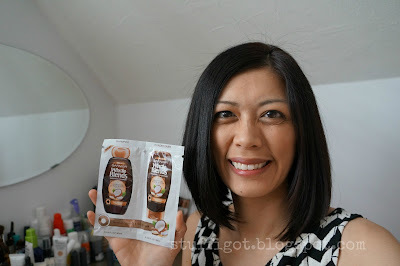 After using the Whole Blends Honey Treasures, my hair again looked smooth and shiny. 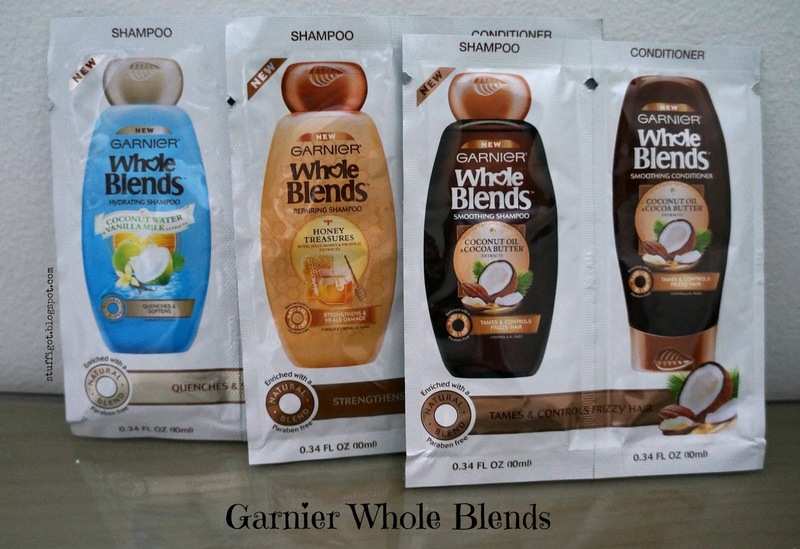 Garnier Whole Blends is available to purchase in stores and online now!